Where and when the world’s first hospital was established is frequently disputed, but there is little doubt that the Middle East was a medical powerhouse during the height of the Islamic Golden Age. Under various caliphs, the region was once a pioneer of medical advancements, developing tools and apparatus that still exist in one form or another in today’s hospitals. But much like other aspects of societal progress in the Middle East and North Africa (Mena), stagnation supplanted innovation, until now. According to a report from the Middle East Medical Devices and Diagnostics Trade Association, the annual value of the medical technology market in the region is set to grow to $11 billion by 2021 while overall healthcare spending will reach $144 billion in Mena by 2022 according to Al Masah Capital. One big part of that spend is technology, which has managed to permeate through almost every sector of healthcare. Technology is increasingly being used to treat the causes and symptoms of chronic illnesses like diabetes, which affects 35 million people across the region. But while investment in the sector is increasing, the region tends to lack in deep technology innovation and research and development (R&D). 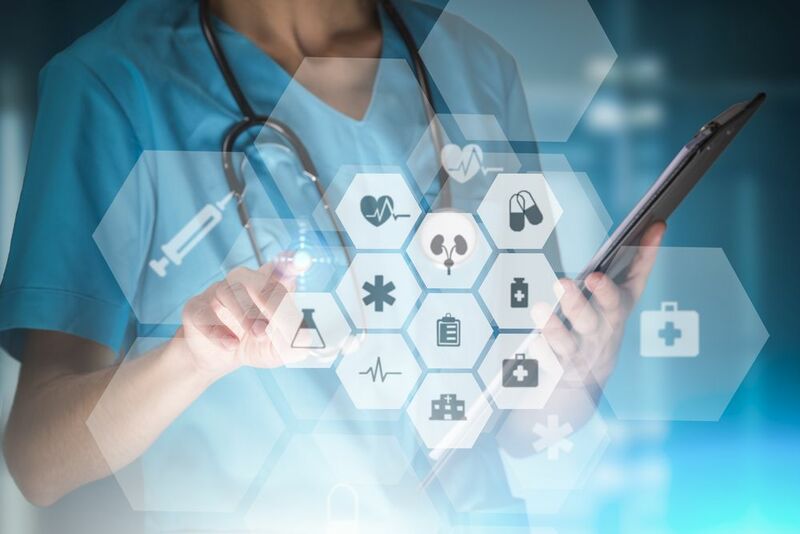 Many of the startups that have emerged in healthcare technology tend to be on the services side, aiming instead to increase access, efficiency and accuracy while cutting costs for providers. One of the more popular startups to have emerged in Mena are online booking portals. Finding the right doctor for your needs can take some time, particularly if you are not familiar with the medical care available in your area. Egypt’s Vezeeta, which recently raised $12 million in its Series C round and an additional $1 million from the International Finance Corporation (IFC) and Morocco’s Dabadoc have made finding, reviewing doctors and booking appointments a simpler process. In the UAE, Fodhil Benturquia has managed to sign up 1000 doctors onto his platform, Okadoc, with plans to have signed up 30 per cent of all doctors in the UAE by 2022. The idea for his company came about from his own arduous experience of trying to book an appointment with his doctor when he was ill. Such services claim to cut down on no-shows by up to 75 per cent as they give patients reminders of their upcoming appointments. For those who find it difficult to make the time to visit a doctor or perhaps cannot afford to do so, tele-medicine and tele-health is becoming a viable alternative. One tele-health startup is Dubai-based Altibbi, which has so far raised $8.5 million since its launch in 2015. The Arabic platform provides articles, informative videos and the ability to start a consultation with a healthcare professional over video or audio chat. Altibbi recently launched in Egypt in partnership with the country’s health ministry and offered a million free consultations to help alleviate the burden of medical costs for Egypt’s poorer communities. Healthcare can be incredibly hierarchical in the Middle East with economic status usually determining access to and quality of healthcare. Health at Hand, a tele-medicine company founded by Charlie Barlow aims to democratise access to primary healthcare. He founded Health at Hand in 2016 operating with four full-time doctors. Barlow claims the company would only need 13 doctors to service 3 million people on its platform. Every patient who calls experiences a waiting time of just two minutes. The company hopes to be the first point of contact for non-emergency healthcare, helping to reduce costs for insurers and patients. “The market is completely broken, mandatory health insurance puts more pressure on insurance companies,” he says. Health at Hand is looking to expand and incorporate drug delivery onto its platform. If a patient is suffering from a cold, a doctor on the app will be able to diagnose it, prescribe the medications, which will then be delivered to the patient. “In most instances your tele-health experience will be as good if not better than seeing your doctor face to face,” says Barlow who believes the reasons for that include the short wait time and its “robust technology”. According to a report from PwC, the Middle East has the foundations to become a global leader in artificial intelligence research and development (R&D). With two thirds of the survey respondents saying they felt comfortable replacing human doctors with AI or robots, the region is already open to technological change. 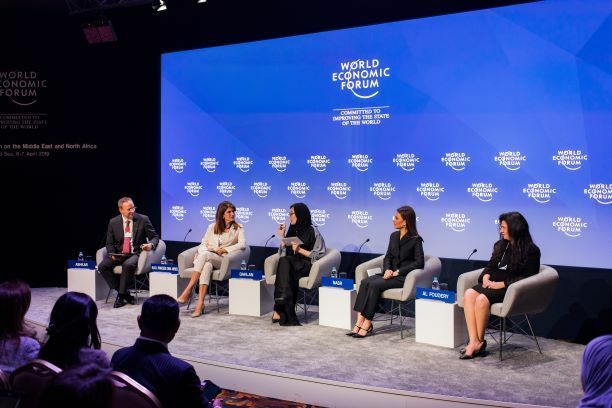 “When you combine the clinical workforce shortages in the Middle East, with more positive factors like a young, digitally minded population that, is willing to adopt AI and robotics – PwC thinks the Middle East could leapfrog other countries in the these technologies,” says Tim Wilson, Middle East health industries leader at PwC. In a hackathon organised by the Ministry of Health and run by Wamda in partnership with Hikma Ventures, the sophistication of the ideas and level of technicality was visible. The two-day challenge which took place in Sharjah in February, invited students from across the UAE to pitch their health tech ideas under the theme of mental illness and chronic diseases. The winning idea was Epicap, a hat fitted with sensors to help people with epilepsy know when a seizure is about to happen so that they can get to a safe space. But while the ideas and the willingness to innovate exists, there is a lack of infrastructure and funding support to truly test and scale such ideas. Wassim Merheby, co-founder and chief executive officer at Dhonor Healthtech which uses blockchain and artificial intelligence (AI) to track donated organs and prescriptions has faced obstacles in dealing with the Middle East’s fragmented nature and various regulators. It would, according to Merheby, be cheaper and more sustainable to move abroad. One Dubai startup already made the exodus. Medicus AI, which explains and interprets blood tests and medical reports to provide personalised health tips moved from its base in Dubai to Vienna after it received seed investment from European investors which was followed on by an ongoing Series A round worth $3 million led by a Germany-based investor. The company relocated to Vienna in 2016 where the startup ecosystem is more supportive of deep tech and scientific innovation. There is however a desire to enable deep tech innovation in the Middle East, particularly in the UAE. 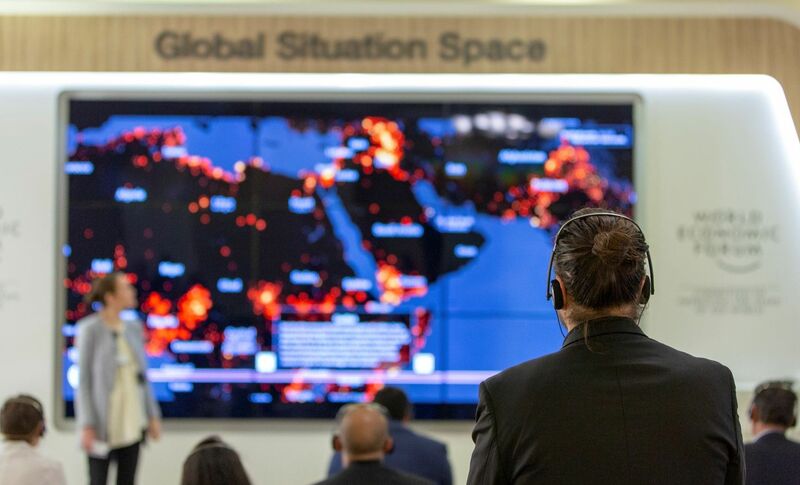 One of the exhibits at the Museum of the Future on show during the World Government Summit in February this year was a series depicting the evolution of healthcare technology. From robot surgeons performing procedures all the way to immortality, the potential for innovation in the healthcare sector was visible. Dubai is keen to position itself as a thought leader and an adapter of such technology, but it requires better access to talent, a more affordable living environment for startups and investors willing to take the risk before it can reach that stage.